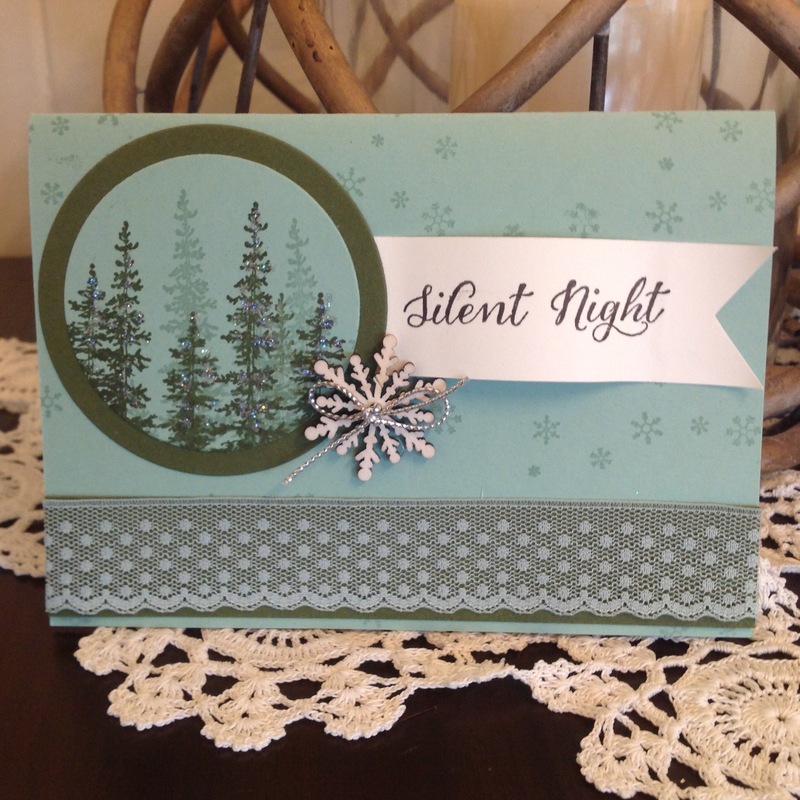 I thought you may be interested in one of the cards that I’ll be teaching at my class on Tuesday 15th November. Classes have been Christmas focused for the last few months. Everyone has fallen in love with the stamp set ‘Wonderland’ from Stampin’ Up! It’s just a stunning stamp set and very versatile. I’ve teamed it here with Mint Macaron and Mossy Meadow. Unusual combo but it works well here. The cute snow flake embellishments are from the latest Christmas catalogue. They are adorable. and I’ve just finished off the centre with a bow tied from silver cord – another product also featured in this catalogue. Whilst it’s difficult to see the trees have been just gently highlighted with some dazzling diamonds, for that tiny sparkling highlight. The lace is Mint Macaroon as is the card stock and ink. To highlight the Mint Macaron I’ve just added some Mossy Meadow card stock underneath the lace and around the circle of trees. Hope you’ve enjoyed seeing one of the classes projects for this month.